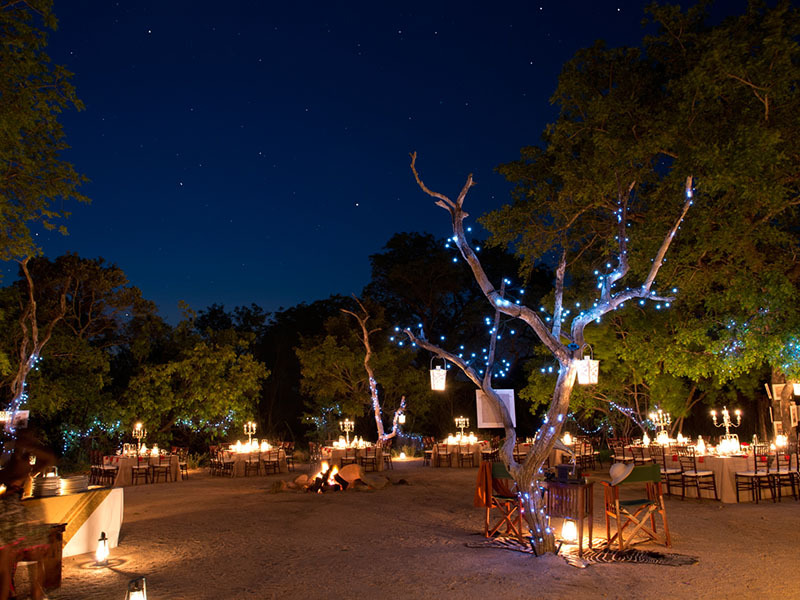 An earthy South African bush safari combined with a dreamy Mozambique beach holiday is encapsulated in this unique Bush-Beach package deal. 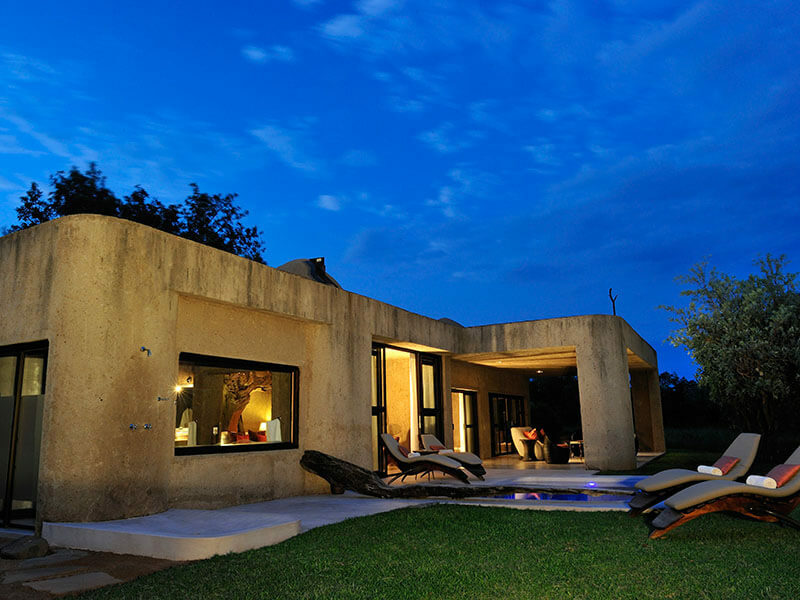 Visit Sabi Sabi’s Earth Lodge to see the Big Five and indulge in a luxurious island break at Benguerra Lodge in the Bazaruto Archipelago. 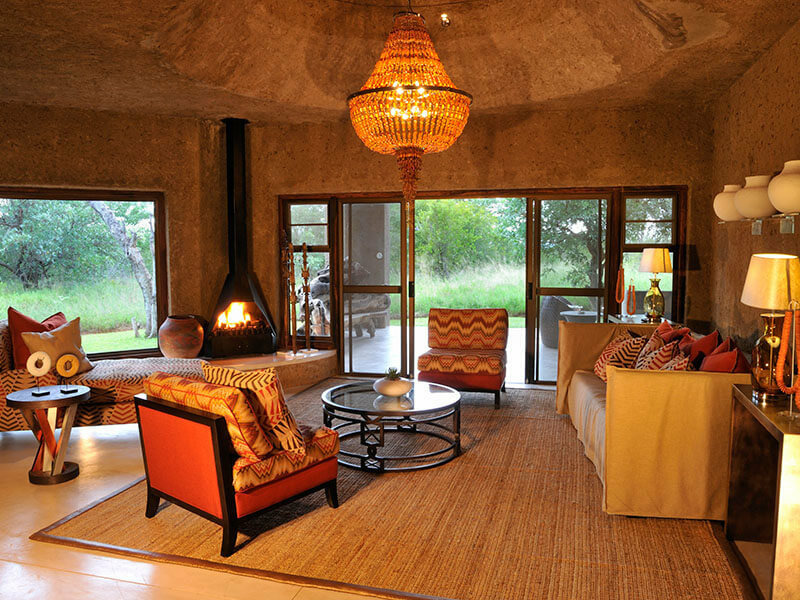 A South African eco lodge with a modern approach, Earth Lodge has used light, space and texture to merge with the natural wilderness and create an aesthetically pleasing bush experience. 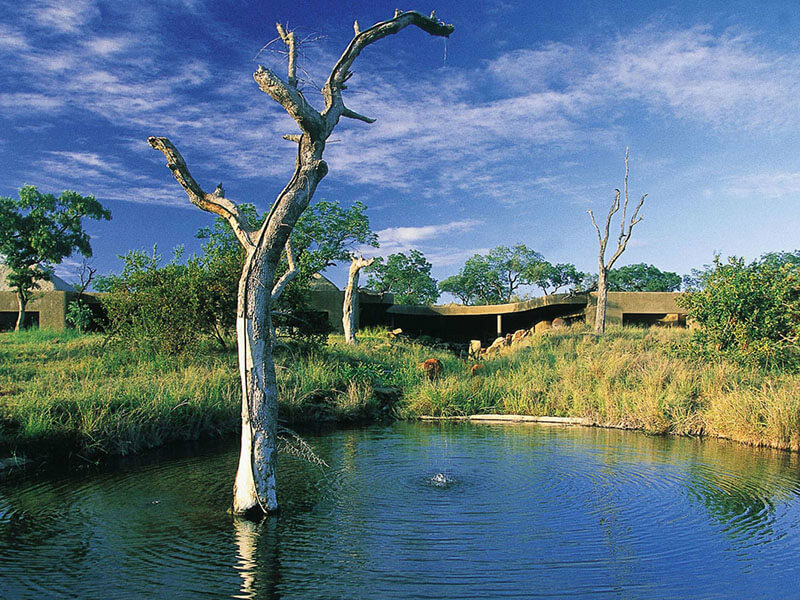 This Sabi Sabi bush accommodation is acclaimed as the most environmentally sensitive lodge in Africa! 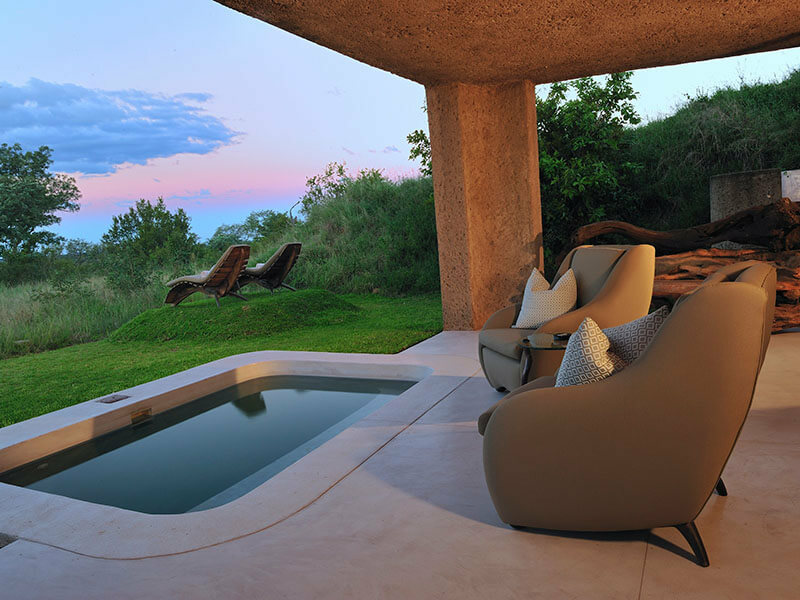 The daring luxury Earth Lodge boasts 13 deluxe suites looking out over pristine African bushveld and including the Amber Presidential Suite of generous proportions and opulent decor. Everything is big and natural with minimal impact on nature outside. 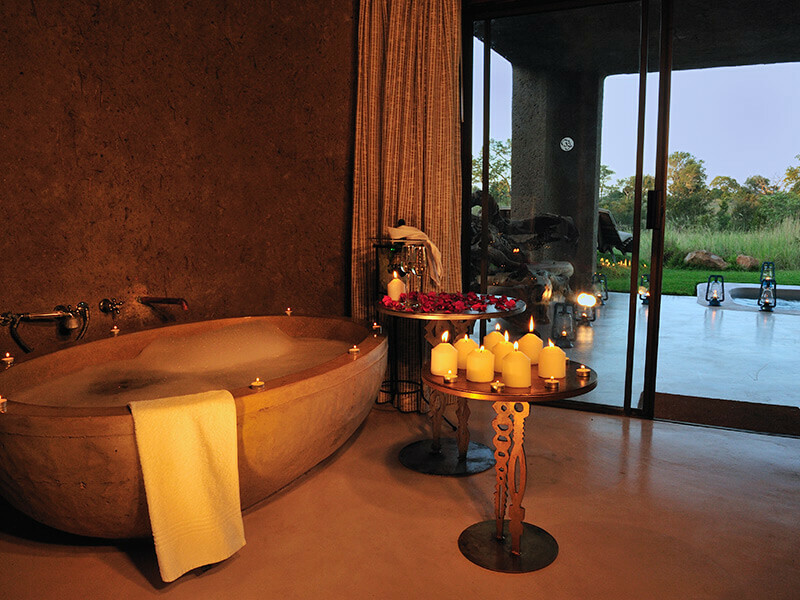 Each suite features individually designed furnishings, private plunge pools, en-suite bathrooms with showers and outdoor showers and amazing wooden sculptures by a famous artist. 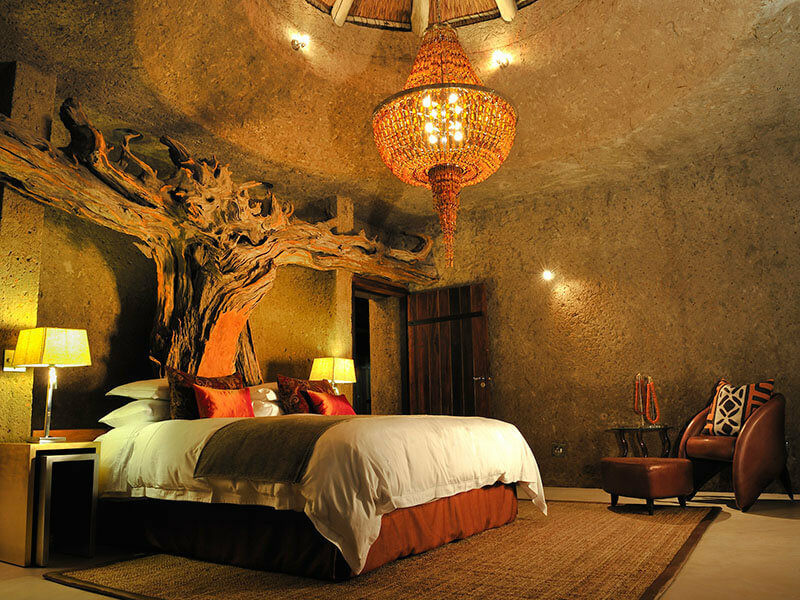 The outdoor boma features walls carved from tree roots to capture the essence of the African night and the aura of wilderness. 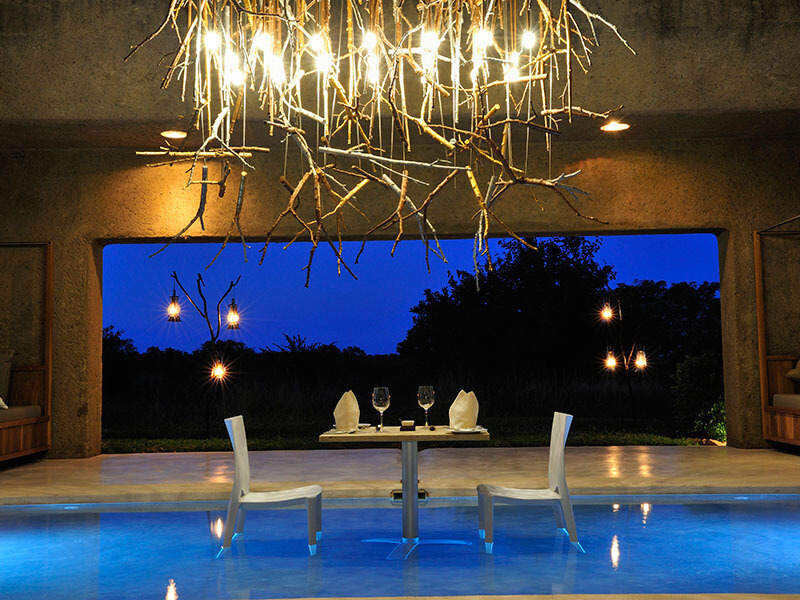 Eat while watching game drink at the waterhole read books from the library or meditate in the meditation garden. 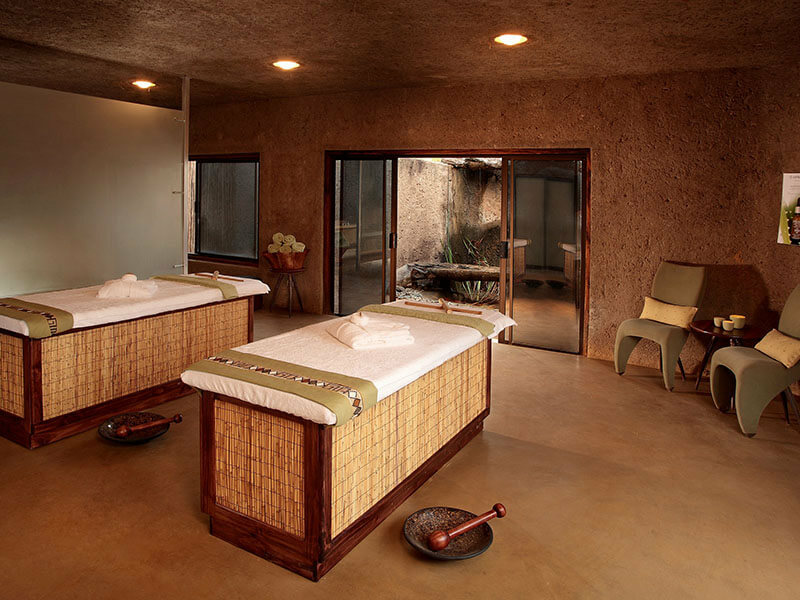 Choose wine from the immense underground cellar and visit the Amani Spa for a massage or holistic beauty treatment. Two games drives daily and walking trails with a qualified game ranger and Shangaan tracker enrich the Safari bush experience. There is even a gym for workouts with bush views!